Discussion in 'Honda Industry News' started by webby, Mar 14, 2018. 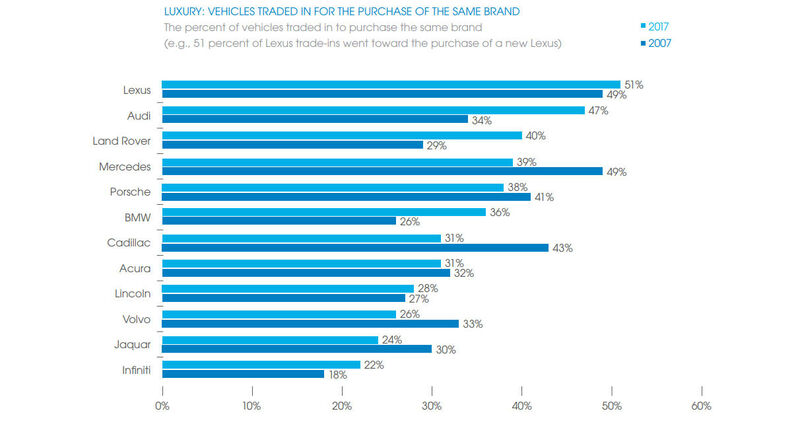 In the luxury segment, buyers are most loyal to Lexus, Audi and Land Rover. They were closely followed by Mercedes, Porsche and BMW. The least loyal luxury customers belong to Infiniti, Jaguar and Volvo. The love affair with crossovers was also evident as Edmunds notes passenger car loyalty hit its lowest point in eight years. Cars only accounted for 36 percent of all new vehicles sold last year and it helps to explain why the Honda Accord isn’t flying off dealer lots. 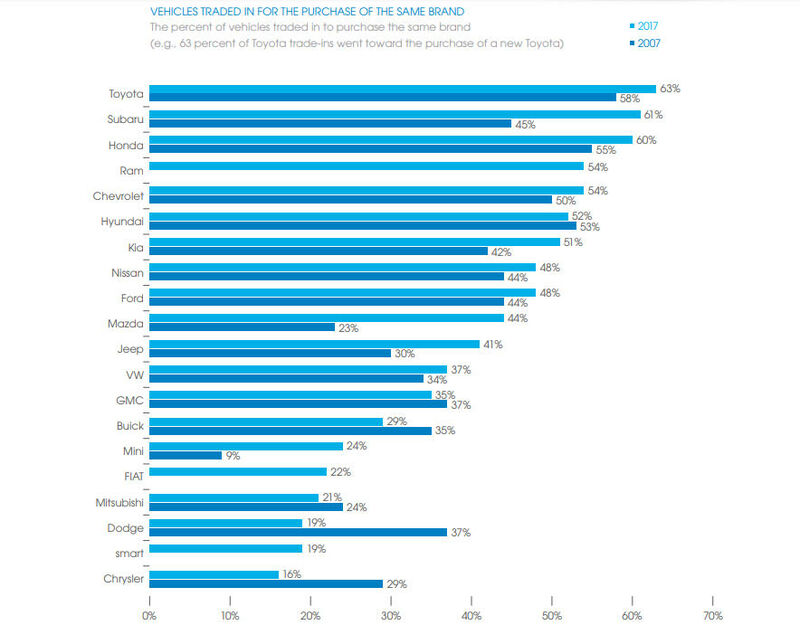 Another interesting finding was the fact that crossovers and SUVs dethroned trucks in customer loyalty for the first time ever. It is also how the brands do their sales. I know Subaru and Honda does not usually knock off more than $2k off their MSRP vs 'American' cars who knock off thousands of dollars, even my dealership was advertising $10k off the new Corvette... So in return end Japanese brands have more of a higher resale value and you can 'get' more from your trade in. People knowing this, what they do is purchase a Japanese car and in 3 years trade it in for a new car and come in on top of their trade (trade is worth more then what they owe) also these people do not put many miles on their car either so thats helps with the depreciation. All this information came from my friend who sold Honda's at the dealership. If you want another car sales tip... when negotiating, they will go back and come with a 'better' price. The 3rd time they come back is usually the last time and that is their final offer. Do you think leasing is factored into these findings? I know many people are now leasing which keeps mileage low & promotes more probability of the buyer upgrading with the same brand. That report was for "purchased" vehicles.